The reggae/dancehall industry in Ghana is growing fast and getting recognition both locally and internationally. One of the names that cannot be left out when mentioning the genre is Ras Kuuku of Puom Music. Born Kojo Kurankye, the “Kbagbum Style” hitmaker has won the hearts of many a Ghanaian with his exceptional voice and energy and charisma on stage. The bearded artiste is finally set to go international after years of hustling on the streets of Dome as he lands a major deal with a Ghanaian-owned record label based in the United States of America, Sabaman Entertainment. 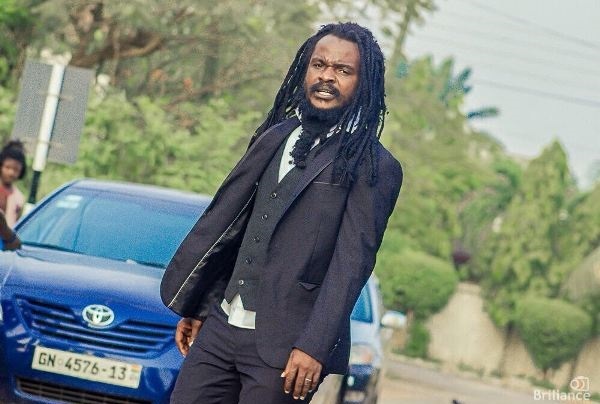 The management of the label is set to unveil Ras Kuuku at a ceremony on Thursday 8 March at the Swiss Spirit Alisa Hotel in Accra. Details of the managerial deal will be made public at the unveiling ceremony. Representatives of the media and top industry players are expected to grace the event. According to sources close to the label, the “Father” crooner will be the first artiste to be signed on. Sabaman entertainment is a music and event company that offers services such as sponsoring artistes, recording, studio services, etc. For now, their emphasis is on Reggae/Dancehall and only artistes making music of that genre will have the privilege of working with them. Indeed, those who have followed Ras Kuuku from the days of “Father” and “Ade3 b3 kye” will testify that the artiste has worked very hard on himself and his craft and deserves this deal as much as anyone. Amassing a strong and loyal following like the kind Ras Kuuku has with Puom Music, it is no wonder Sabaman has chosen him out of the lot to be the first artiste signed to the budding label. READ ALSO: Hip-Hop Artist Bow Wow Announces Retirement As He Can't See Himself Rapping Aged 30--Social Media Folks Say His Career Retired Him Long Ago So What's He Talking About? The 33 year old artiste released his debut album “Nokr3” in February 2012 and has since been very consistent. His most recent songs, “Gban Gban”, “Nwansina”, “I’m Blessed”, “Kpagbum Style” and the like are bangers and get the crowds crazy anytime he is on stage. And anyone who has been at any of his numerous shows knows Ras Kuuku comes with more fire!